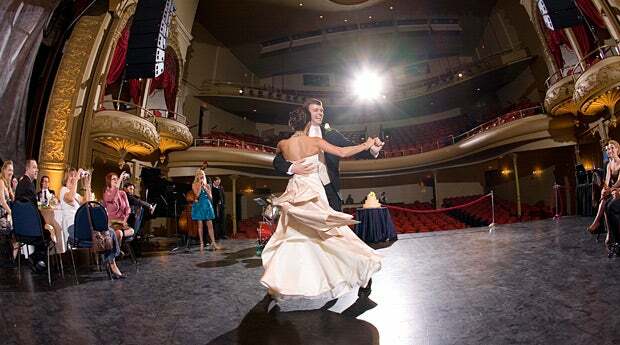 Treat your guests to a once-in-a-lifetime experience when you host your wedding or reception at the Lexington Opera House. Guests will be dazzled with the elegant décor and unique atmosphere! 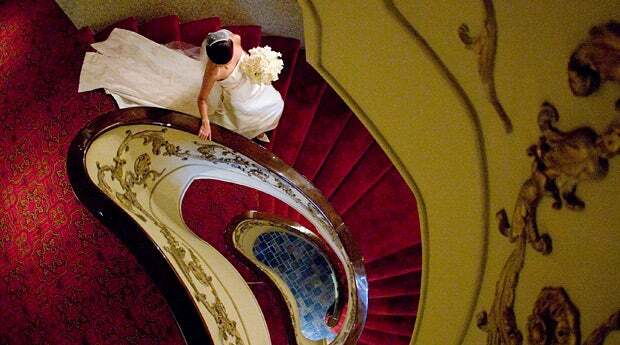 Since weddings and receptions fall outside the original intended use of the theatre, we strongly suggest that wedding clients employ the services of a designer to coordinate the décor and desired look of the space for the event. It can be spectacular! Rental fees include all venue spaces available – including Gallery, Pub, and Dressing Rooms. The rental price is fixed. Other costs are variable according to the event. 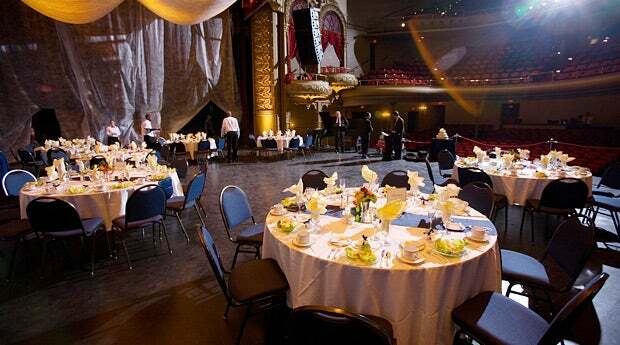 Seating Capacity for receptions on stage area varies according to specific needs of your event. We are happy to work with your caterer to coordinate best service. NOTE: Full rent is required as deposit for first-time users.